This cast-iron waffle griddle sat on a grate in a hearth or could be used on a cookstove. 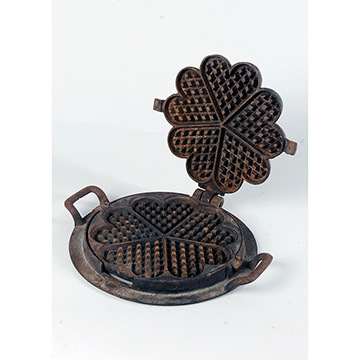 The waffle former rests in a two-handled base that fit on a stovetop burner, the tall ring on the handle preventing the forming unit from flipping over. 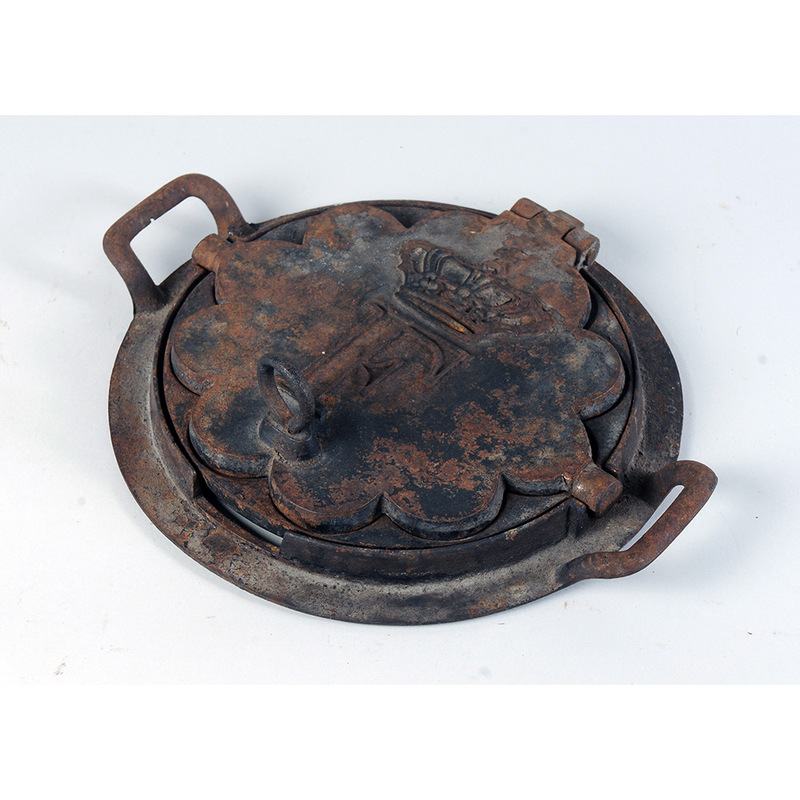 Such heavy iron cookware survived many generations of use. The "F" and crown of the Frederiksvark emblem suggested status and high standards to the cook. Compare this utensil with the more functional, balljointed waffle maker produced in America about fifty years later on display in the Fire and Heat exhibit on Kendall's sixth floor.